In the world of body piercing, Tea Tree Oil is most often used as a treatment to dehydrate piercing bumps. Tea tree oil has been shown to be anti-fungal, antiseptic, and antimicrobial, and to have antibiotic properties against some gram-negative bacteria. The oil can also be used on piercings that become inflamed to provide a boost of antiseptic power between sea salt soaks. 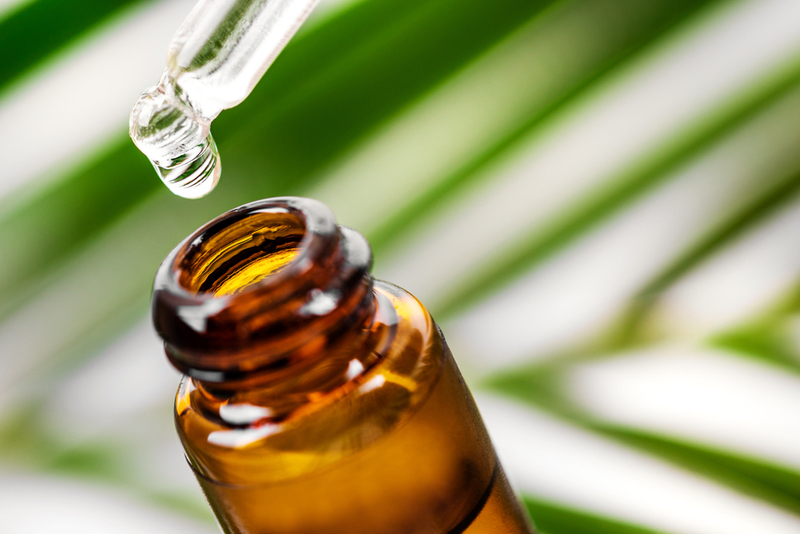 Topical use of small amounts of tea tree oil is generally considered safe for most adults. If you use Tea Tree Oil directly on your skin, make sure to watch for any additional irritation, and if your skin seems to be sensitive to the tea tree oil, discontinue using it. If you have never used Tea Tree Oil, it is suggested to test the oil on an area of in tact skin to test for sensitivity before using it around your piercing wound. Some people don’t like the smell of Tea Tree Oil when it’s used directly on the skin. If that’s the case, add three to four drops of the oil to your sea salt soak solution. Adding the oil to the solution imparts the benefits of the oil to the soak, but won’t leave the stronger elements of the oils fragrance on your skin. Tea Tree Oil can also be used for oral piercings. We don’t recommend adding it to the salt solution until the initial swelling is gone. Again, the Tea Tree Oil is used to boost the antiseptic power of the rinse. To use as an addition to the sea salt rinse, add three or four drops of the oil to the sea salt solution, give the water bottle a few shakes before use, and make sure to spit the solution out. DO NOT SWALLOW the solution!! Be patient and persistent when using Tea Tree Oil. Even though we have found it to be very effective on inflamed piercings and healing bumps, it will take time and consistent aftercare to see results. It will take several weeks of aftercare to see a difference in a healing bump. With inflammation, the customer should see some improvement within a few days. As always, if you think your piercing may be infected, you should see your doctor.